Garlands have been very popular these days for the purpose of decoration both in your houses and for the parties and special occasions. 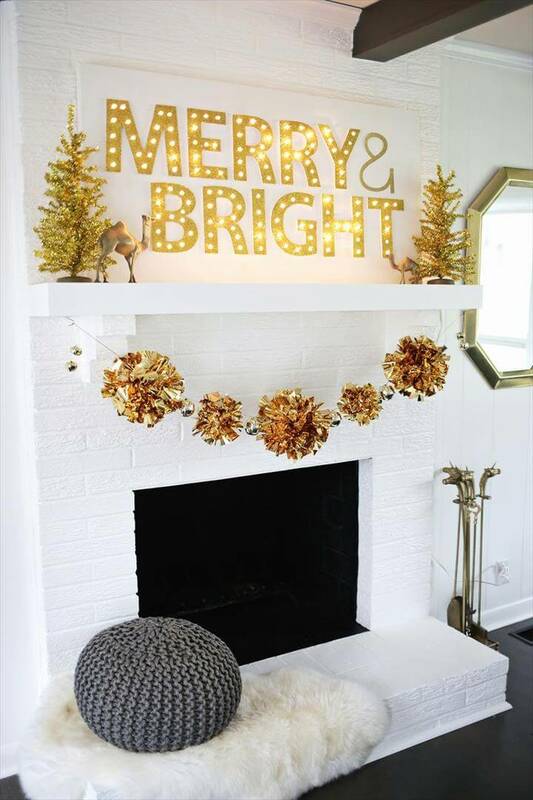 Here we will share 22 Amazing DIY Garland Ideas simple and eye catching ideas to make some amazing garlands with some simple and easy going crafts and crafting techniques. 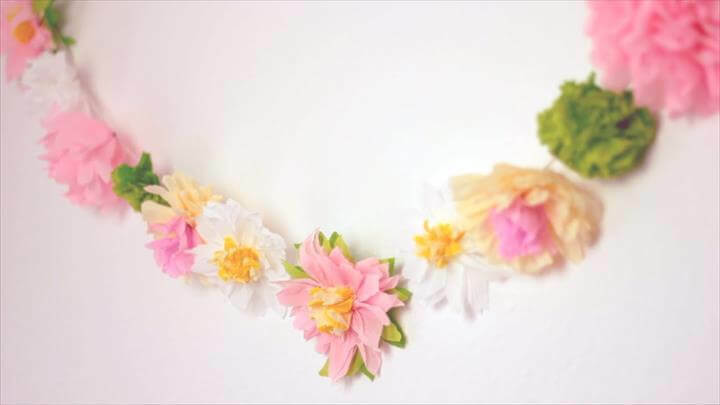 The first project that we have here is a garland made with felt sheets and is basically made with the twisting technique to make it look more beautiful and attractive. Next we have a diy tissue garland which is made with ruffling technique as you can see over here. You can also make a simple yet unique garland with paper only, all you have to do is to make heart shapes out of any colored paper and make a cute garland with them. Next garland is also made of tissue papers but here the garland is made with the frill art and looks equally amazing. Next we have other garlands made with papers that have patterns such as dotted paper garland. 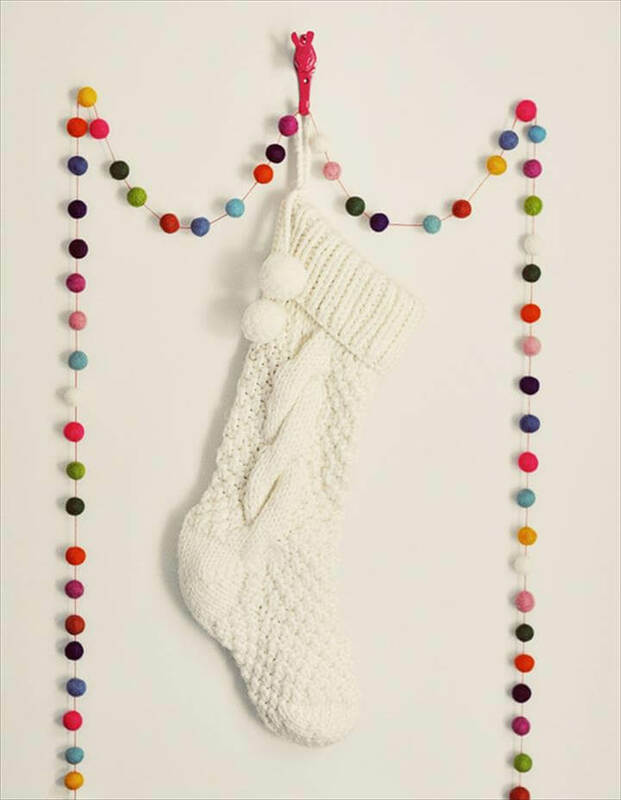 Besides this we can also make garlands with candies and enjoy this beautifully created piece of art in your kid’s room as it’s made with the candy theme. 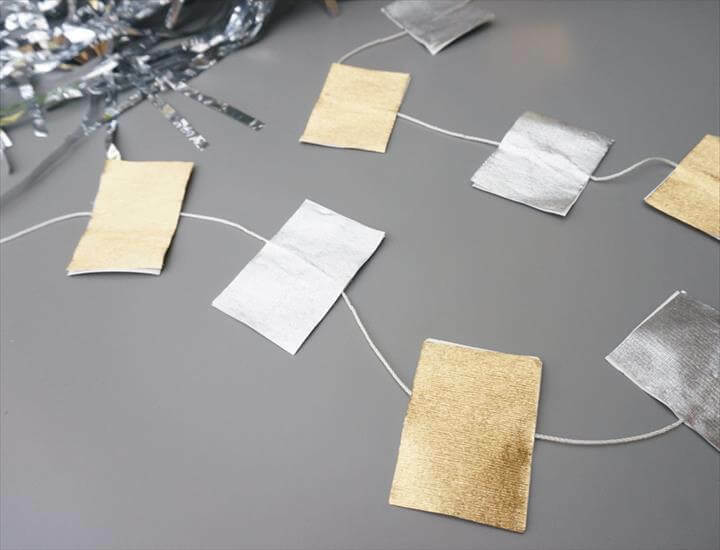 Also you can make some beautiful garlands with the wrapping paper scraps and enjoy this low cost creativity hack with your friends and family. 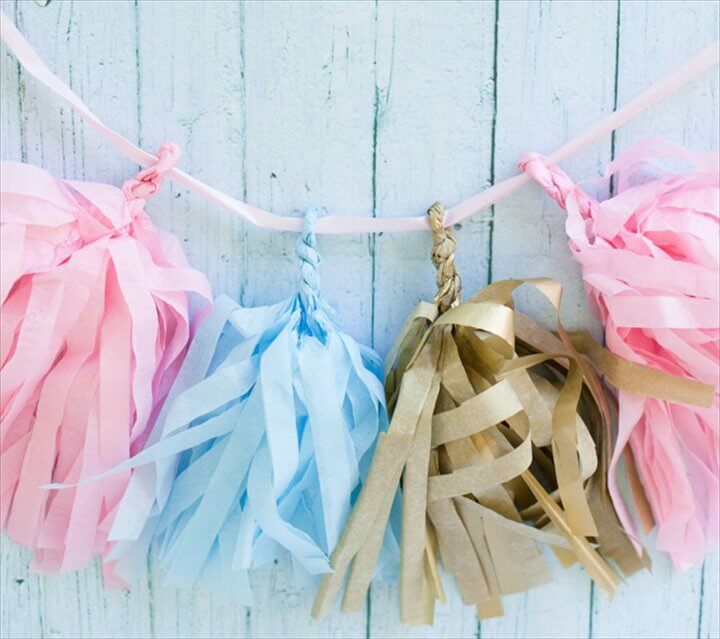 one of the most popular among these garlands is the one made with the pomp pom as it looks super adorable and funky at the same time. 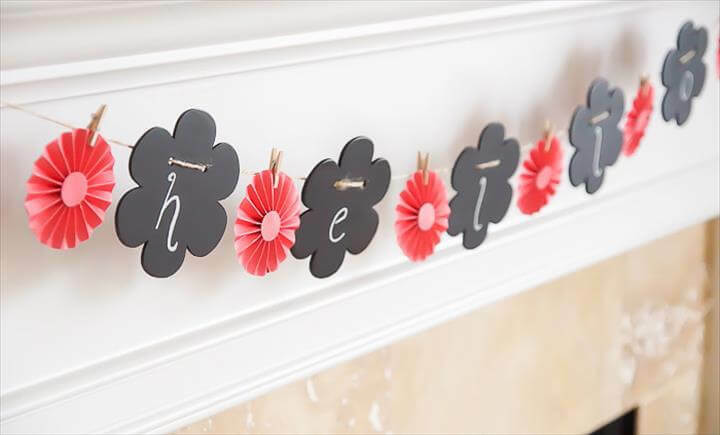 Also try this paper flower garland idea, all the instructions are given in the tutorial attached in the link given below the picture. 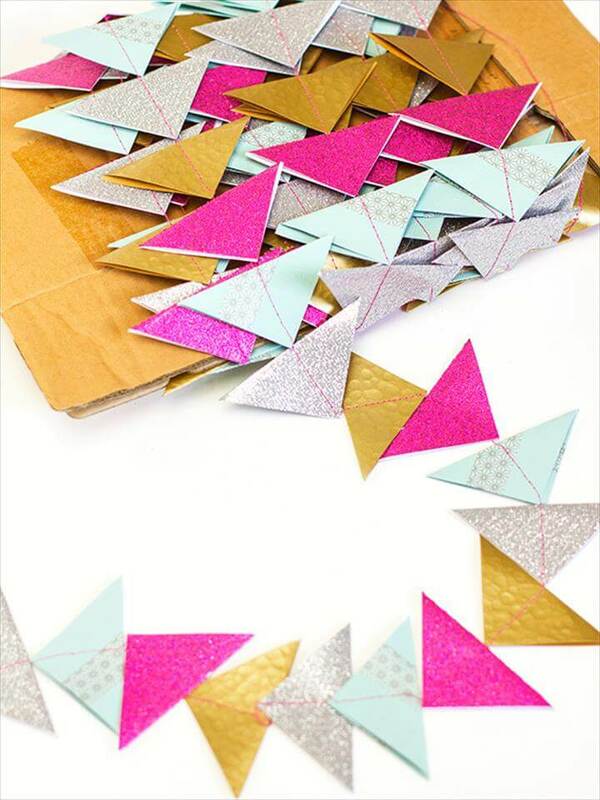 Similarly you can also cut triangles out of paper and make a garland out of them. 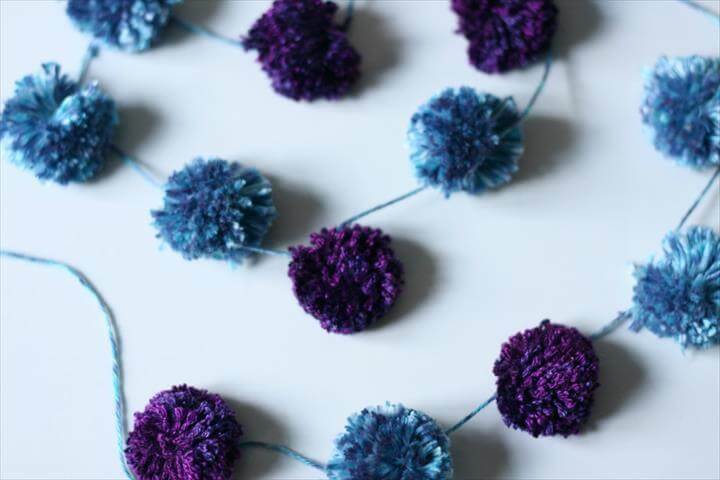 Do not forget that you can also use some scrap fabric for this garland making project so grab some interesting printed fabric and create this exciting DIY fabric garland. 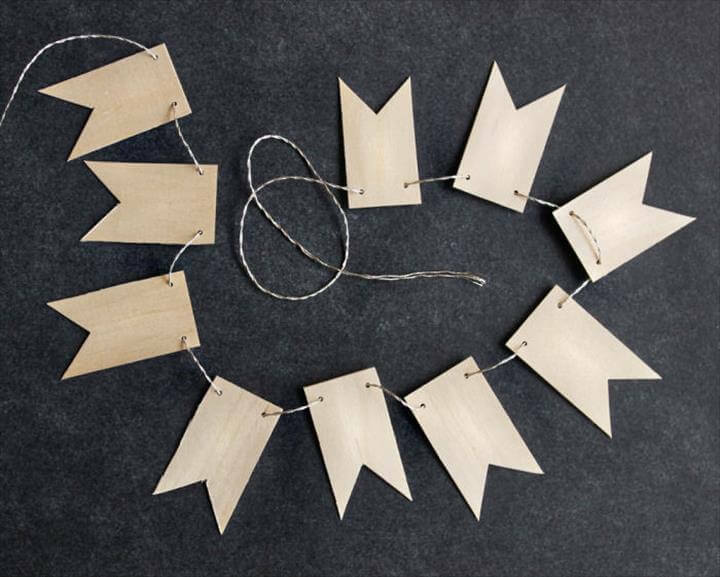 We have also shared an idea that you can make garland with wooden pieces. 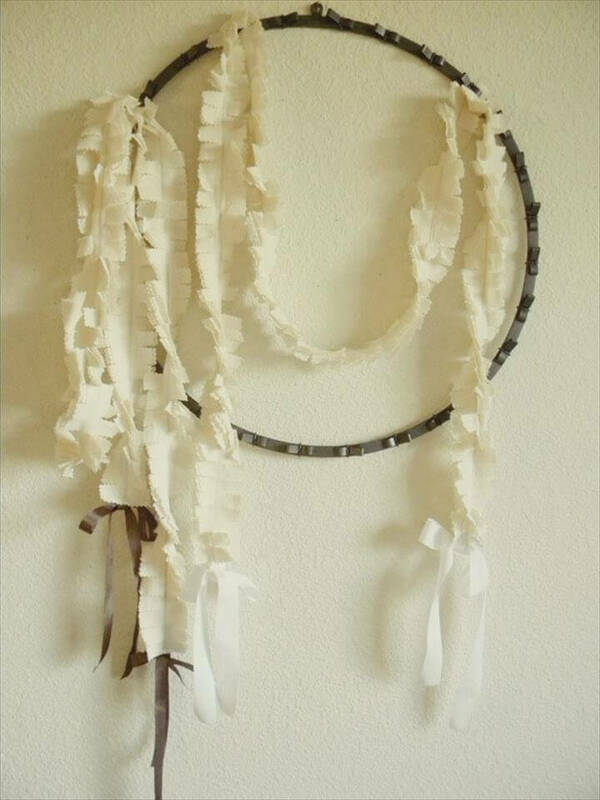 Have a look at this fabric fringe garland in which they have made some fringes out of fabric and the turned them into garland. Besides this we have other exciting and incredible holiday themed garland that you can definitely try this holiday season. Try at least some of the above discussed garland projects to add some spark to either your main entrance or entrance of nay room. Follow the instruction step by step to make it happen successfully.